Wanna stiffen up that front end and get rid of some slop? RallySport Direct has done the ground work and has compiled the front end bushings you need to give you even more control. 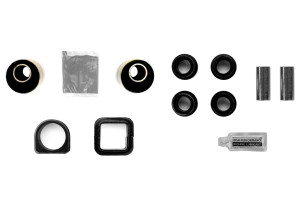 With the Whiteline Inner Control Arm Bushings (Front and Rear) and Steering Rack Bushings you will gain a sharper input than stock. Next time you are playing chicken with a pot hole, you can now swerve out of the way and not feel like you are driving a boat.